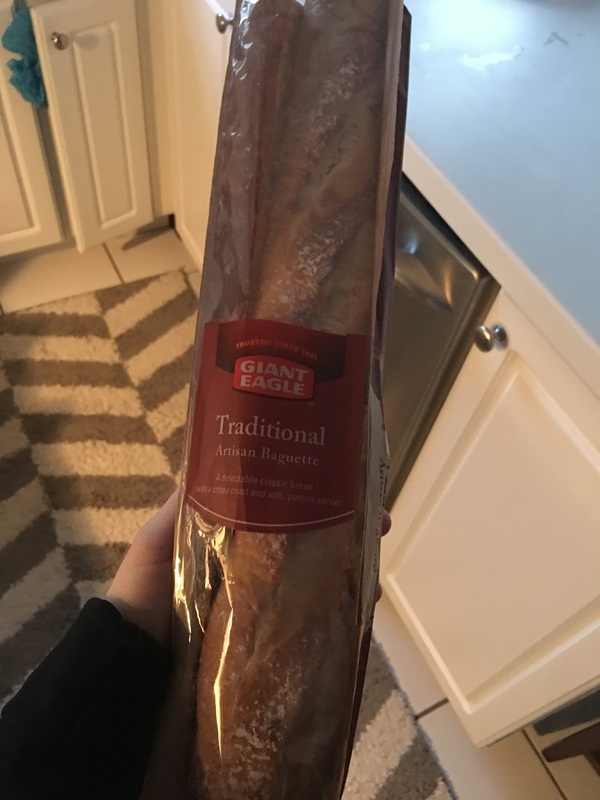 One of my favorite snacks is a baguette with cheese. I sliced this baguette into a couple pieces and enjoyed it with fresh cheese. A wonderful snack! The bread was fresh and warm.